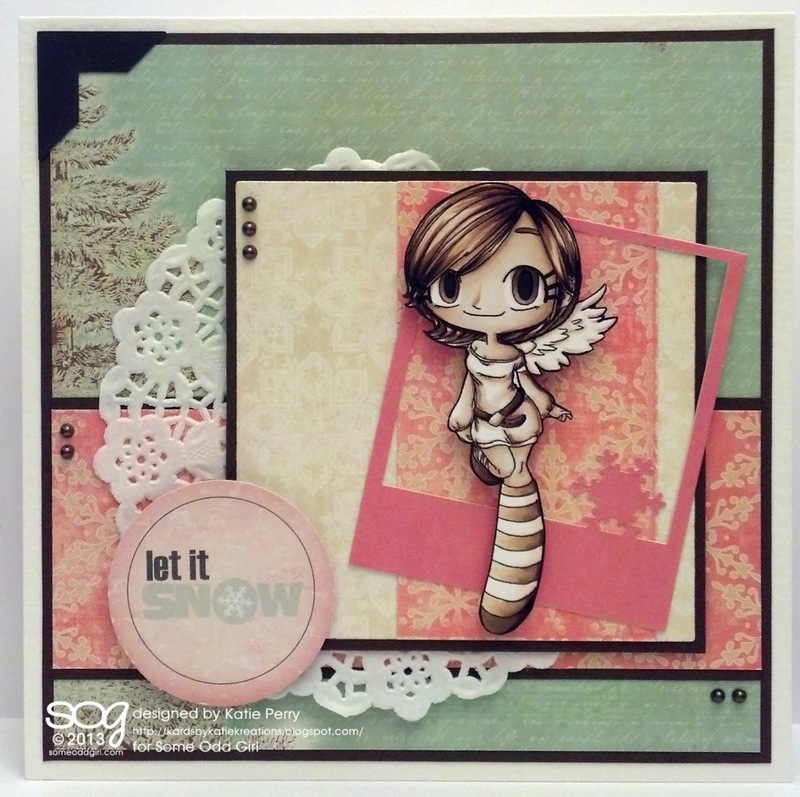 Kards by Katie Kreations: A Perfect Match- SOG and Paper Perfect Crafting! WELCOME to A Perfectly Odd Hop! We Odd Girls have partnered up with the lovely ladies from Perfect Paper Crafting to bring you something fun and different! Today, both teams come together to bring you a fabulously inspiring BLOG HOP that will run through Sunday, November 17th. There are 15 stops along the way including the main blogs, and PLENTY of inspiration for you to enjoy, so we hope you have as much fun as we’ve all had in this little partnership! I was super lucky to get to work with the Perfect Layers 2 which is an absolute dream come true! I love to mat my layers but it always took time and no matter how careful I was sometimes I would get a wonky edge that wasn't quite straight. This tool is exactly what it's named- perfect! I was able to mat all my layers and not only did they come out spot on but it took almost no time at all which is so important in my book. I hope you like the effect I was able to achieve and will check them out because this tool is just the tip of the iceberg peeps! Be sure to comment at EVERY stop and you’ll be eligible to win one of TWO prize packs that include one of these tools and a stamp set of your choice! Your next stop is Roxie’s blog. We’ll be sharing inspiration throughout the week so you can see how the Odd Girls have used the Perfect Paper Crafting tools, and maybe a little guest project here and there from our partners in this hop! Plus if you decide to go shopping over at Perfect Paper Crafting make sure to enter the code SOG5% for 5% off. Remember you have until Sunday at midnight EST to leave your comments, then Some Odd Girl and Perfect Paper Crafting will each draw one winner, to be announced on Monday, November 18th. Have a Perfectly Odd day, and good luck! Swoon!!! This is so pretty Katie!! I love the colors and layers!! Katie your coloring is amazing! What color combo's did you use? Great job with the Perfect Layers too! I love the stamp and the card is beautiful. Wow! So pretty!! Love that little polaroid and the soft colors! fab project! Totally gorgeous! I love the colors you used! Love everything about your card, so girly and the color combo so unique. Oh those colors are gorgeous! You have to share with markers you used! Lovely card! Love the color and your colors are awesome! Katie, Love, love, love your color combo. And your monotone coloring is perfect. So different for a winter theme card. Beautiful card, love the colours you used. Katie, love the layers and the coloring on the image. Its true, that tool is perfect! Beautiful card. I love your colour combination and the wonderful monochrome colouring of the SOG image. The perfect black matting really makes it pop. Love the look of this card! Absolutely gorgeous and I am definitely going to have to get this stamp! Thanks for the inspiration! Wow! I love the sepia coloring and the layers! Absolutely stunning! I love the sepia coloring and the soft paper colors you used! Beautiful colouring job! I love the papers you used too. Very pretty. WOW. Beautiful card. love your simple backgrounds and color choices. This is by far the most gorgeous card along the hop! Really I enjoy all of the hop blogs but your card is amazing and beautiful! Well done! The sepia coloring is gorgeous! I love all the layers and the doily is a perfect accent for Angel Kaylee! Thanks for the inspiration!